Do You Need a Mac Pro or Will an iMac Do the Job? Macworld's Jonathan Seff reports that schools are feeling the budget pinch as much as any other group. So Apple's decision to begin selling a 2.0GHz 20-inch iMac to educational institutions for US$899 couldn't come at a better time. Macworld's Roman Loyola has posted a tutorial on applying anti-glare film to glossy aluminum iMac displays. "The iMac does some things much slower than the Mac Pro, some things just as fast, and some things even faster. So, is an iMac just as 'good' as a Mac Pro? It depends on how you use it...."
Link: Do You Need a Mac Pro or Will an iMac Do the Job? So says ZD Net's Christopher Dawson, a Linux enthusiast, has posted a somewhat disheartening report from the front, saying that while three months ago his users were enthusiastic about the Mac and some even excited about (or at least open to) Linux, now they are asking about Windows 7 on new purchases. MacFixIt has posted a useful tutorial on how to reset the Parameter RAM and the System Management Controller (Intel Macs) or Power Management Unit (PowerPC Macs) - distinct maintenance and troubleshooting processes that are sometimes confused with each other. Also on MacFixIt is a feature on setting up used computers and tips on avoiding certain potential irritating problems. Video: "At work, we came into possession of a dead 800 MHz eMac G4, so we did what all good technicians would do - we took it apart and then rebuilt it with only the structural components." PR: iCloud is a website that turns your web browser into an online computer. Your iCloud computer comes with the following features out of the box. Open http://icloud.com in your web browser, log in, and your very own desktop will emerge in seconds. The desktop is the starting point of your iCloud experience. Here you'll keep your most frequently used files and applications. 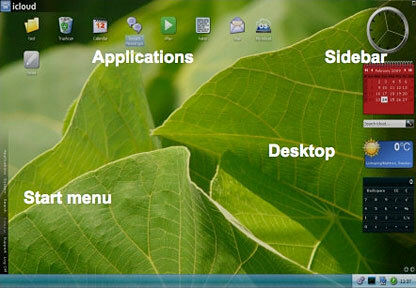 To the right, you have a sidebar where you can keep small useful applications, e.g. clock, calendar, weather update etc. To the lower left you'll find the start menu for easy access to all features in iCloud. Store once. Open from any computer. iCloud keeps your files and photos safe, yet always right next to you. No clue? - No problem! In just a few seconds you'll know everything there is to know about iCloud. iCloud comes fully loaded with a wide range of applications out of the box. Check out our complete list of applications! Storing, organizing and opening your files on the Internet has never been easier thanks to iCloud. Designed to support all the well known (and a few not so well known) features of traditional PC filesystems, iCloud will make you feel at home immediately. Share single files or entire folders, to one friend, or the whole family. You decide. Say goodbye to slow e-mail attachments and time consuming one-file-at-a-time sharing using instant messengers. iCloud for Firefox is currently in early alpha stage and still under development. It is possible to run iCloud in Firefox, however, Internet Explorer is still the recommended browser if you need speed and reliability in iCloud. iCloud is using a lot of XML technologies due to its XML Virtual Machine. The extensive support of XML, XSLT, and Xpath needed by iCloud is unfortunately not supported by all browsers yet. Internet Explorer has the best support, and for Firefox we have managed to add the functionality using a custom developed Java applet, extending Firefox with more XML functionality. PR: Looking for a good, inexpensive external monitor for your new MacBook or Mac mini? Unfortunately, Apple's own freestanding displays are astronomically expensive, but since Apple's newer systems shifted to the Mini DisplayPort for external displays, no manufacturer has offered plug-compatible display products or adopted Apple's current design theme of Aluminum, black, and glass in products aesthetically matched to current Macs. 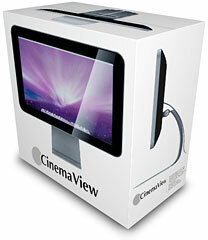 However, Collins America's just-announced CinemaView displays will address both of those issues. The CinemaViews will come in 19" at 1440 x 900 pixels, 20.1" at 1650 x 1050 pixels, and 24" at 1920 x 1080 pixels variants, priced at $299, $399, and $499, respectively. All CinemaView models are manufactured to a high quality standard and include a 3-port powered USB 2.0 hub, a passthrough stereo audio jack, and, an all-in-one cable that connects Mini DisplayPort, USB 2.0, and stereo audio to the Mac. Their UniFrame Aluminum construction precisely matches the design of current Apple computers. 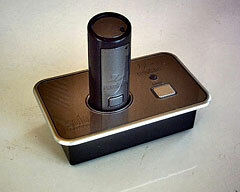 And, the entire approach taken in designing the products is aimed to precisely please Mac aficionados. CinemaView displays will begin shipping to USA and Europe customers before September 1, 2009, and Collins America is anticipating strong demand for the products, and are offering a way to guarantee that your new CinemaView display will be available when you place your order. On their Website, you can submit a no-obligation reservation request for a CinemaView from the first production run, and receive free ground shipping. Much more reasonable than the $840 - $900 street price for the Apple 24-inch LED Cinema Display! CinemaView displays can be reserved now from the CinemaView web site. Customers placing reservations before August 1, 2009 will receive free shipping to USA, Canada, and EU destinations. PR: Longtime Mac video show MacMost today announces MacAnswers, their new podcast addition to its network. MacAnswers is a short daily audio podcast where Mac expert Gary Rosenzweig answers a Mac, iPod or iPhone question each day. The questions come from listeners of the new podcast, viewers of MacMost's videos or readers of MacMost's Web site content. Topics range from the Mac OS, to applications like iTunes, iPhoto, iMovie and third-party utilities, as well as topics covering the iPhone and iPod. Two years after launching its video show, MacMost has added a second major podcast to its network. MacAnswers is a short daily audio podcast where Mac expert Gary Rosenzweig answers a Mac, iPod or iPhone question each day. The questions come from listeners of the new podcast, or from viewers of MacMost's videos or readers of MacMost's Web site content. 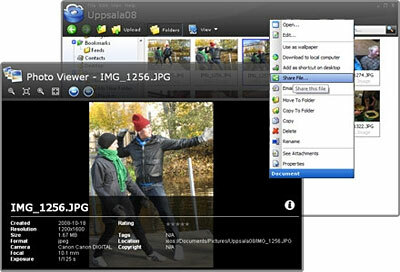 Topics range from the Mac OS, to applications like iTunes, iPhoto, iMovie and third-party utilities for the Mac. The podcast will also cover topics related to the iPhone and iPod. Listeners should go to the MacMost Web site to subscribe to the show for free using iTunes. New episodes will automatically load into iTunes as they are available. They can then listen on their computer or transfer the shows to their iPod, iPhone or other mp3 player. PR: Other World Computing (OWC http://www.macsales.com), has announced the new Mercury Elite-AL Pro Qx2 for the ultimate in flexibility and convenience in a Plug and Play desktop hardware RAID storage solution. 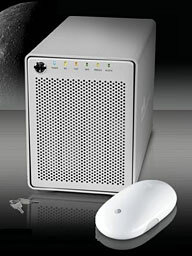 Featuring a "Quad Interface" of FireWire® 800, FireWire 400, USB 2.0, and eSATA ports; 4 Serial ATA (SATA) hard drive bays; and 4 user selectable hardware RAID settings, the Mercury Elite-AL Pro Qx2 offers up to 8TB of total storage capacity and data transfer speeds up to 300MB/s for the ultimate professional grade RAID storage solution. Built for performance-intensive applications, such as A/V, HD-video, digital photography, professional music, graphics, and redundant backup, the Mercury Elite-AL Pro Qx2 is beautifully designed for both Mac and PC with a shock resistant, heat dissipating aircraft-grade brushed aluminum housing preconfigured with up to 8TB of storage capacity. Its front panel LEDs gives quick, at-a-glance system status, while the removable key lock ensures the installed hard drives remain secure. An easy to access front panel selector switch provides simple configuration of the 4 Hardware RAID settings: 0, 1, 5, 10, as well as a Span (NRAID) setting, for the best level of speed, capacity, or redundancy; or any desired combination of the three operations. The Mercury Elite-AL Pro Qx2 is now shipping in capacities from 2TB to 8TB, priced starting at $679.99 MSRP from Other World Computing at www.macsales.com. The Mercury Elite-AL Pro Qx2 is compatible with Apple OS 8.6 to 9.2.2, OS X 10.0.x, and 10.2.8 or later, and Windows 98SE or later operating systems. It comes ready for Plug and Play ease of use with all interface connecting cables, a $200 retail value disk utility software bundle, and up to an industry leading 5 year warranty. 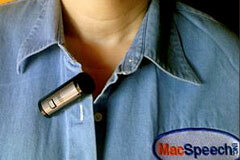 PR: From now until April 30, MacSpeech is offering a discount on the Revolabs xTag wireless lapel microphone. Simply enter coupon code REV20 during checkout and receive 20% off the retail price of $249. That's a savings of nearly $50.00. The xTag's form factor, which is approximately the size of a tube of lipstick, is discreet enough that you can clip it anywhere on your shirt or blouse and be confident it will remain unobtrusive no matter what you're doing. Its rechargeable battery needs just 45 minutes to reach about 85% of its eight-hour talk time charge, so you can quickly get back to work, exercise, or anything else. The xTag works up to 100 feet away from your Mac and cancels out nearby peripheral noise while transmitting your voice data with 128-bit encryption, a key feature for physicians and others who require HIPAA compliance while reading sensitive information aloud. PR: MCE Technologies, LLC has announced it has begun shipment of the fastest and most versatile Blu-ray recordable drive available for the Mac. The MCE 8x Blu-ray Recordable Drive is capable of recording to Blu-ray media at up to 8x, to DVD±R media at up to 16x, and to CD-R media at up to 48x. Natively compatible with Mac OS 10.5.2 or later the drive can record data to Blu-ray, DVD, and CD media directly from the Finder with no additional software required. Professional Blu-ray movies, playable on set-top Blu-ray players and the Sony Playstation 3, can be created with the MCE 8x Blu-ray Recordable Drive using Adobe Premier Pro CS4's Encore program in conjunction with either Adobe Premier Pro CS3 or Apple's Final Cut Pro editing software and basic Blu-ray movies can be created using optional Roxio Toast 10 Pro. 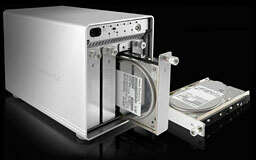 The MCE 8x Blu-ray drive is user-installable and designed for Mac Pro and Power Mac systems. A version specific to the Mac Pro (2009) is also available, along with an External 8x Blu-ray Recordable Drive with USB 2.0 and eSATA ports. Software is also included allowing the playback of Blu-ray movies using the MCE 8x Blu-ray Recordable Drive and a Mac Pro running Boot Camp with Windows XP or later installed. The MCE 8x Blu-ray Recordable Drive for Mac Pro and Power Mac starts at $429 and is available for immediate shipment. "The new 8x Blu-ray Recordable Drive is the most advanced superdrive we've ever shipped and can record to over twelve different types of media," stated Arnold Ramirez, president of MCE. "The drive is the fastest Blu-ray recorder on the market, as well as a very fast DVD and CD recorder." Fitted with a blue front tray-bumper to distinguish it from ordinary optical drives, the MCE 8x Blu-ray Recordable Drive ships with all jumpers and settings pre-configured for the Mac Pro and Power Mac G5. The drive can record to 25GB single-layer write-once Blu-ray BD-R media at 8x (36MB/sec), to 50GB dual-layer write-once Blu-ray BD-R media at 8x (36MB/sec), and to 25GB and 50GB rewritable BD-RE discs at up to 2x (9MB/sec). It is also fully compatible with all DVD and CD recordable media on the market today and can record to standard DVD±R media at up to 16x (22MB/sec) speed, to DVD±R DL (Double/Dual Layer) media at up to 8x speed, to DVD+RW at up to 8x speed, to DVD-RW at up to 6x, to DVD-RAM at up to 5X speed, to CD-R at up to 48x (7.2MB/sec), and to CD-RW at up to 24x speed. The MCE 8x Blu-ray Recordable Drive for Mac Pro and Power Mac is $449, for Mac Pro (2009) the price is $429, and external USB 2.0/eSATA is $529 each model includes an installation manual, software for playback of Blu-ray movies in Boot Camp, and a 25GB BD-RE rewriteable disc. Toast 10 Titanium Pro may be bundled with the drive for $100, or with Adobe Premier Pro CS4 with Encore for $795. PR: Other World Computing has announced OWC brand storage solutions now include the latest version of Carbon Copy Cloner, the widely popular cloning and backup utility that lets Mac users create block-level backup and bootable OS X volumes with an easy to use interface. This perennial Mac user favorite utility joins an existing $200 retail value utility software bundle consisting of award winning Prosoft Engineering Data Backup 3, NovaStor NovaBACKUP, and Intech SpeedTools Utilities to give OWC storage solutions the most comprehensive disk utility bundle available. Carbon Copy Cloner (CCC) from Bombich Software has been a rock solid favorite utility of the Mac community since it was first demonstrated to the Mac community in OWC's booth at Macworld Expo 2002 as the very first native cloning utility for Mac OS X. In addition to multiple backup choices, the latest version of CCC features support for block-level copying, the most accurate method of creating an exact replica of a startup drive. A redesigned user interface makes cloning and backups very intuitive while advanced scheduling capabilities lets users decide which backup tasks should run and when. "High performance storage goes beyond the storage device itself," said Larry O'Connor, CEO, Other World Computing. "We've supported Mike Bombich's efforts from the very beginning and our agreement to formally include the latest enhanced version of Carbon Copy Cloner as part of our disk utility bundle continues our mission of offering the highest level of backup options, performance, and ease of use available with an external hard drive." OWC storage solutions also include a $200 retail value utility software bundle consisting of award winning ProSoft Engineering Data Backup 3 (a powerful utility that allows users to backup, restore and synchronize valuable data with minimal effort); Intech SpeedTools Utilities (a diverse collection of performance minded utilities); and NovaStor NovaBACKUP (a data protection and recovery utility specifically designed for PC users). OWC storage solutions offer further value added features including all interface connecting cables for Plug and Play operation straight from the box, free lifetime US-based technical support, and industry leading warranty terms. 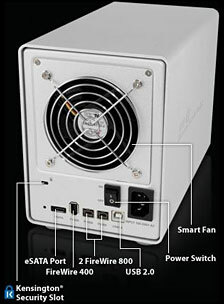 PR: Newer Technology, Inc., has announced its award-winning miniStack powered hub and Guardian MAXimus RAID 1 FireWire/USB 2.0 storage solutions now include the latest version of Carbon Copy Cloner, the widely popular cloning and backup utility that enables Mac users to create block-level backup and bootable OS X volumes with an intuitive interface. This longtime Mac community favorite utility compliments NewerTech's existing comprehensive $200 retail value utility software bundle consisting of award-winning Prosoft Engineering Data Backup 3, NovaStor NovaBACKUP, and Intech SpeedTools Utilities. Carbon Copy Cloner (CCC) from Bombich Software has been a widely popular disk utility since it was first introduced to the Mac community at Macworld Expo 2002 as the very first native cloning utility for Mac OS X. In addition to multiple backup choices, the latest version of CCC now features support for block-level copying, the most accurate method of creating an exact replica of a startup drive. A redesigned user interface makes cloning and backups very intuitive while advanced scheduling capabilities lets users decide which backup tasks should run and when. NewerTech storage solutions also include a $200 retail value utility software bundle consisting of award winning ProSoft Engineering Data Backup 3 (a powerful utility that allows users to backup, restore and synchronize valuable data with minimal effort); Intech SpeedTools Utilities (a diverse collection of performance minded utilities); and NovaStor NovaBACKUP (a data protection and recovery utility specifically designed for PC users). NewerTech storage solutions offer further value added features including all interface connecting cables for Plug and Play operation straight from the box, free lifetime US-based technical support, and industry leading warranty terms up to five years.